Andy May dishes up comfort food for the soul with his 2005 release, Café Americana. 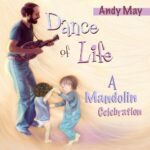 Containing 14 new original songs, Café Americana continues Andy’s tradition of CDs packed with enjoyable songs that have depth, heart, and (often) a sense of humor, and are presented with excellent musicianship and beautiful, clean production. Solidly Americana, this CD lays out a smorgasbord of country, bluegrass, and folk-flavored acoustic treats cooked up and served by a seasoned performer and his five-star band. 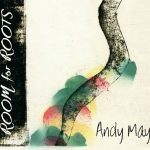 CDs and download cards (for select titles) available from Andy’s online store. Single-song and album downloads are available through CD Baby iTunes and other online retailers. View the Winter 2019 issue of Stay Tuned!